Website and WebHosting @ Rs. 1850/-. through this October! Buy #hostingservices worth Rs. 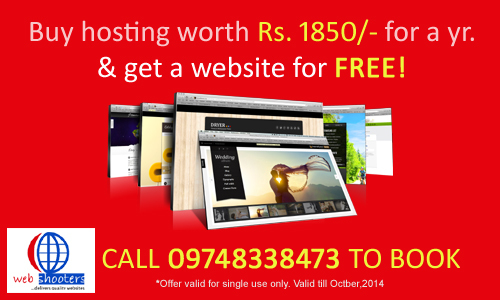 1850/- for a year, & get a #Website for FREE! PreviousAffordable business website developers from Kolkata! NextCreate your website for FREE!